Are you a fan of Jay's Jungle? 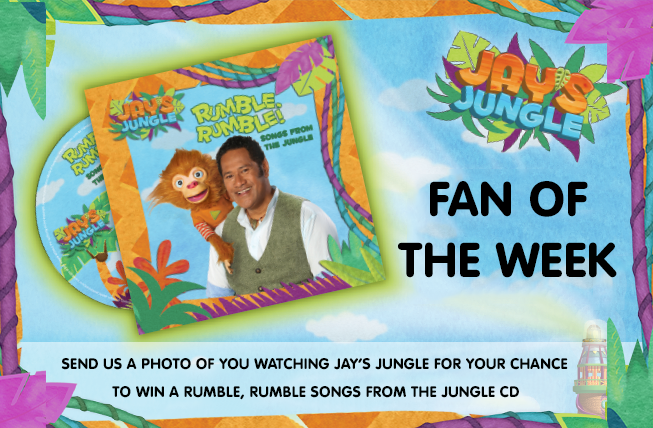 For the next five (5) weeks we will be giving away one (1) Rumble, Rumble songs from the Jungle CD to our biggest fans. What do you have to do? Tune into the brand-new Season of Jay's Jungle, 8am weekdays on 7TWO and send us a photo of you watching via Facebook message. Competition closes at 9am on Friday, the 20th of April, 2018. Older PostRUMBLE, RUMBLE ARE YOU READY FOR ANOTHER ADVENTURE IN THE JUNGLE?